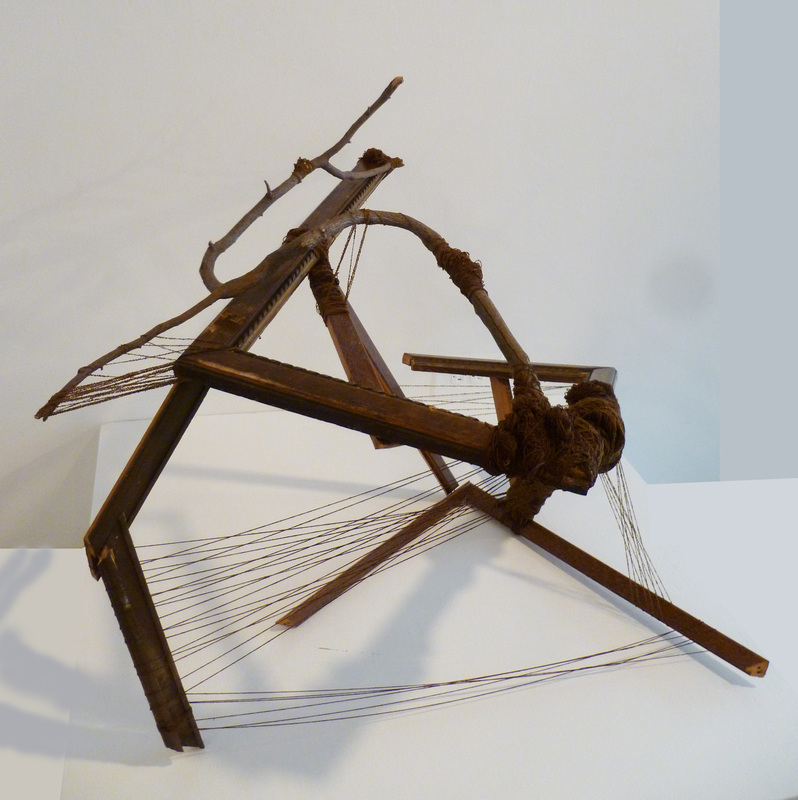 Warped Looms uses reconstituted frames, natural pieces of wood, and fiber. Picture frames are reconstructed around a found and finished piece of natural wood. 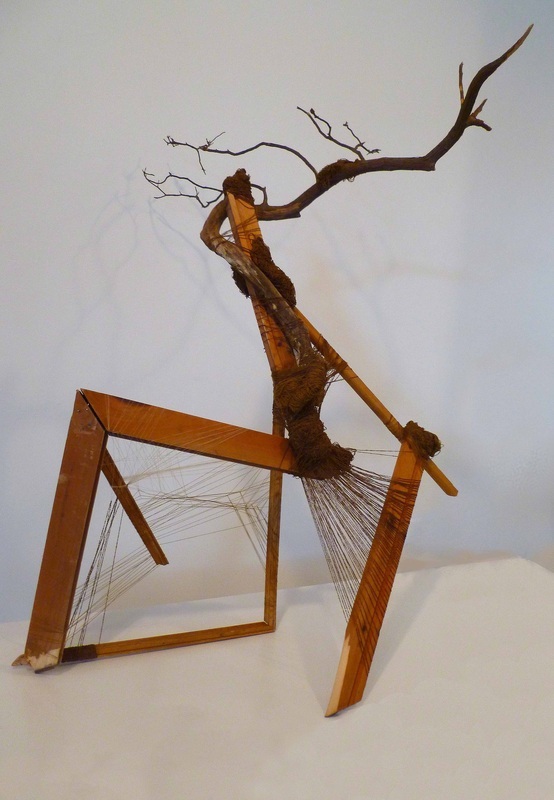 These forms are carefully constructed to create free-standing sculptures. 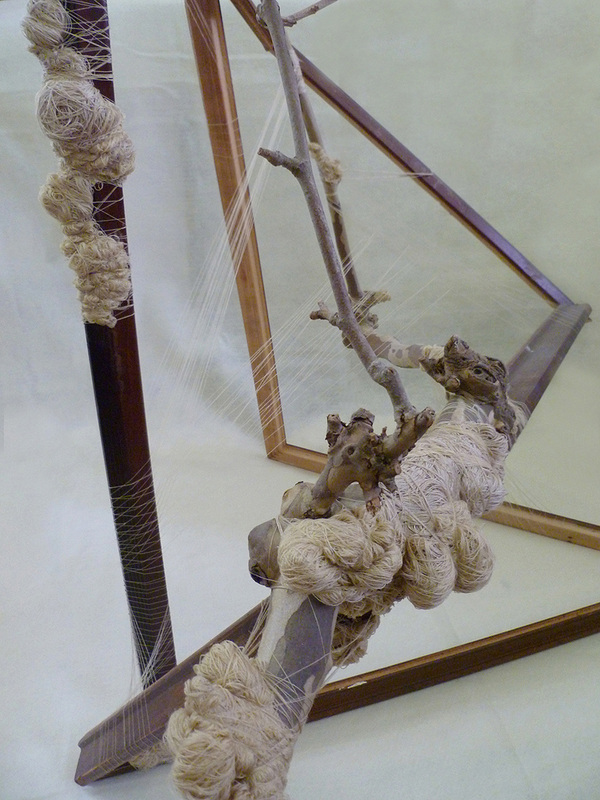 Intricate wrapped ‘growth’, created by wrapping the hand, grow and wind around the wood pieces. 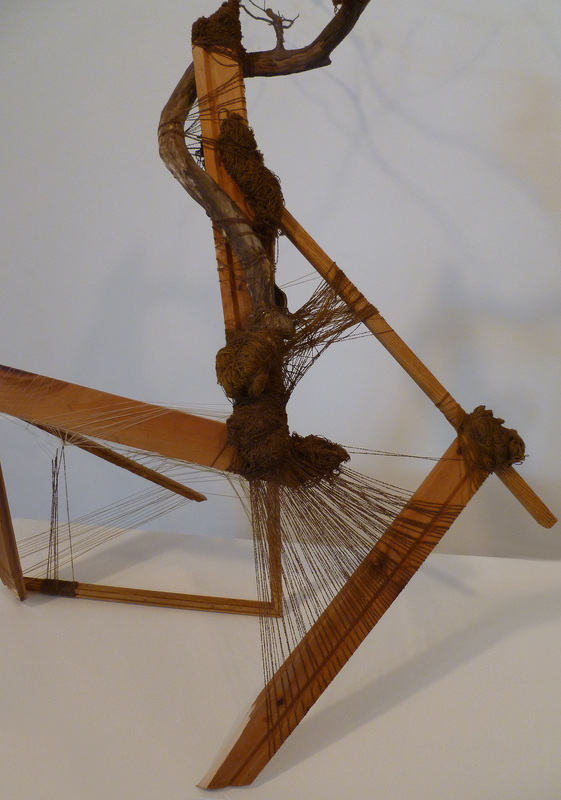 The abstract fiber growths merge the man-made and natural materials together. Additional fibers are woven around the wood pieces in alternating patterns. 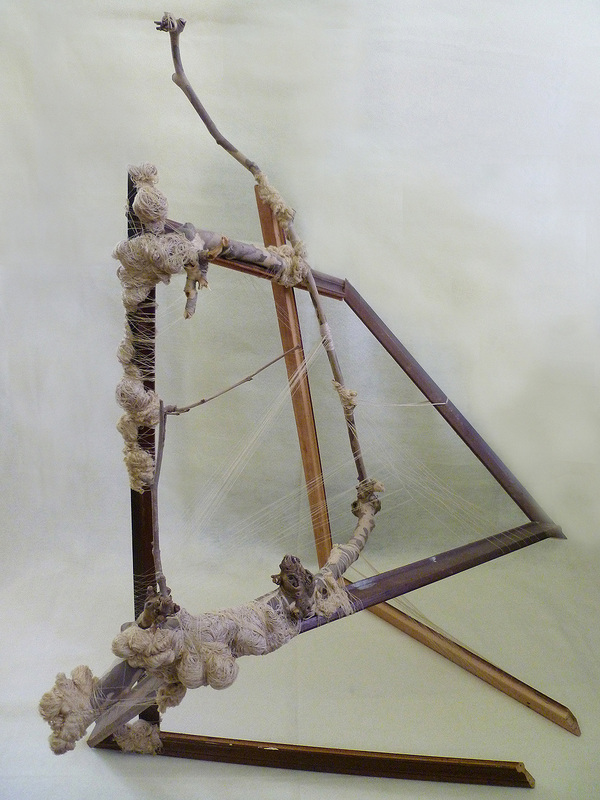 Different wrapping methods create a tension between the orderly, man-made frames and the abstract, natural wood and fiber. These pieces are ‘abstract looms’ that create tension, both literally and figuratively, between the materials. This work speaks about the forces in modern culture - which I call form for living - that paradoxically both bind and shape our experience with other people. They are specific definitions that define how we act, look, and feel. These forms for living are designated without our individual input, giving us both boundaries that hinder and structures to grow from. These are ‘man-made frames’ that we must fit within. However, to become unique individuals and truly satisfied people, we must find a way to create our own form out of these defining frames. Growing as a person, allows us to tear apart our frames and merge these two opposing forces; the tension creating a life woven of the two forces.